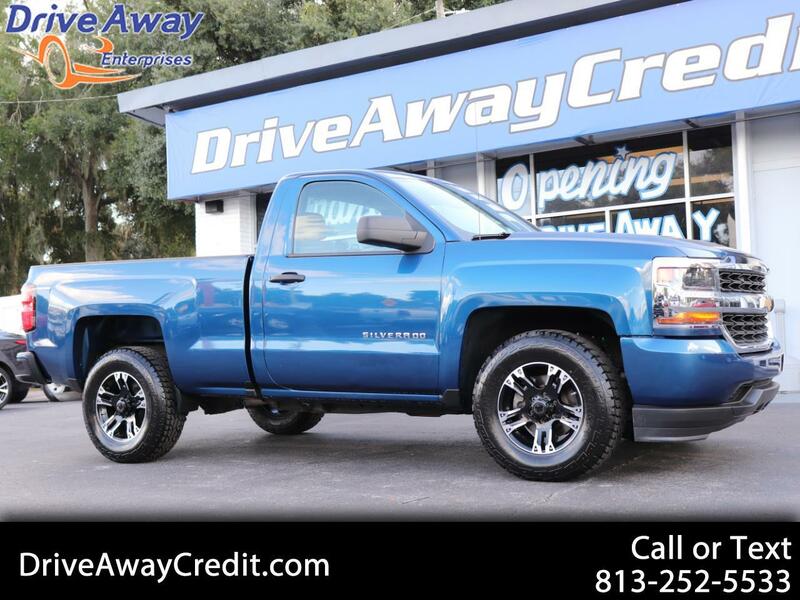 With incredible power and reliability, our 2016 Chevrolet Silverado 1500 WT Regular Cab rear wheel drive presented in Blue Metallic is the new face of strong! The 285hp 4.3 Liter Flex Fuel EcoTec3 V6 with Active Fuel Management is paired with a 6 Speed automatic transmission with tow/haul mode. This combination works well together to offer you an incredible 24mpg on the highway and all the muscle you need to haul your heaviest loads. Our Silverado 1500 WT looks sharp with its bold grille and prominent wheels, and inside this no-nonsense machine, you'll appreciate the comfortable quiet ride with easy-to-clean floors and seating that let you focus on the task at hand. Convenience features include power locks, a bed liner, power windows, a driver information center, and a 6 speaker AM/FM sound system with USB ports and an auxiliary jack.